Pianist Bob Alberti spent many years as musical director for Bob Hope, and with Les Brown’s band, until retirement from those posts a few years back. Now living in Hilton Head, he plays mainstream jazz piano in a swinging accessible manner, that is very evident on this recording. Alberti is a sprightly pianist, making jazz sing and swing with accessible ease. 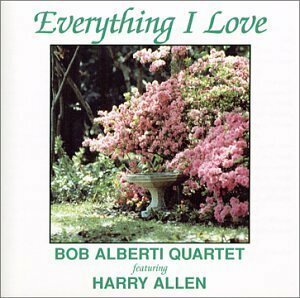 This quartet session is magnificently aided by the tenor sax of Harry Allen, who plays with clarity, grace, and a similar developed sense of mainstream swing and verve. The program includes some rousing versions of standards, and a more syrupy but still easy approach on some slower numbers.